Planning a Membership Marketing Campaign? Remember Your Cause. When you remind your members and inform prospective members of the cause your organization champions, you give them a reason to believe in your organization—and be a part of your organization. One membership growth and retention strategy is to flip the focus of why members should join from a “what’s in it for me?” mindset to “I believe in what we’re doing here.” It’s not always top of mind, but associations, professional societies and other non-profit organizations are mission-driven. Your organization was created to support a cause, by people who had a passion for furthering and promoting that cause. So … remind members of, and introduce prospects to your “raison d'être.” Foster the conversation that their membership—the dues they pay, the volunteer work they may do and other actions they take—is critical to your organization’s ability to pursue its mission. Commission an integrated marketing campaign that creatively highlights the spirit of your mission, through messaging, graphic design and imagery. Don’t focus on a laundry list of benefits members receive, but rather the relationship between membership and an organization’s cause. For the Society of Women Engineers (SWE), we developed an integrated campaign themed “I Am With SWE” that delivered a double meaning: 1) that through membership, you “stand” with SWE and its mission to advocate for women in engineering and technology, and 2) that being part of SWE helps you be who you are as an engineer and a woman. This approach worked particularly well for SWE, as their members typically have a deep connection with the organization. 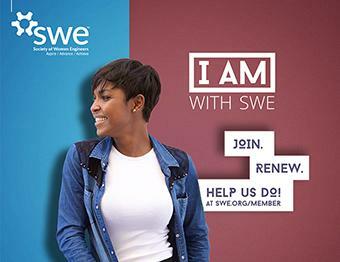 The campaign has contributed to membership growth—in the last year the “I Am With SWE,” campaign has helped the Society add 3,000 additional members. You can see additional examples from the “I Am With SWE” campaign here. Encourage your members—from high-level volunteer leaders to the newly joined—to share the reasons why they feel their membership is important to the overall mission of your organization. And, conversely, how the organization’s mission impacts them. Using membership testimonials creates an authentic connection between “real” people and the association. These stories can be captured in video format (which is great for digital marketing efforts and can be either formal interviews or member submitted), as social media posts, blog articles, etc. The point is, let your members speak for the cause they believe in. A great way to build a link between membership and the association’s mission is to showcase programs your organization develops and supports to further your cause. This can be lobbying, outreach, scholarships, foundations, research, events, etc. Promote these efforts shamelessly—the more visibility to the good work you are doing, the more members and prospective members will feel they are having an impact and are part of something important. The challenges facing professional associations related to membership marketing, growth and retention are many. But, when you remind your members and prospective members of the “why” we do what we do, you give them a reason to believe in your organization—and be a part of your organization. To learn more about how DJG can cause a stir with a cause-based membership campaign for your organization, email Ron Zywicki or call us at 630.305.0003. Share this content on your social media!